In a previous post I described some of the basic elements of the Facebook Timeline for Pages. Since that post, Facebook has updated their guidelines for cover photos slightly. Anyone surprised? Facebook constantly changes things. Sometimes in order to experiment with new features and other times, such as this one, because some marketers started abusing the cover photo area for advertising. Calls to action are not allowed, meaning you'll have to resist the urge to add text such as, "Visit our site," "Sign up now," "Check out ____," etc. 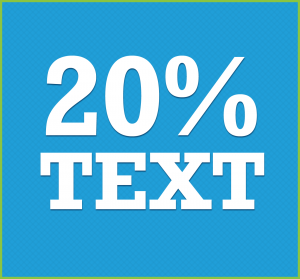 And now... Facebook has added that cover photos cannot contain more than 20% text. For more information check out the official Page guidelines, which provides additional information beyond cover photos. Also, feel free to respond or ask questions via the comments below or contact me via email christine [at] sprk-d [dot] com.